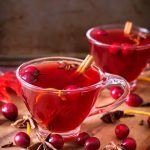 A Spiced Cranberry Hot Toddy is a sweet and tart, gently spiced, and very delicious hot cocktail. 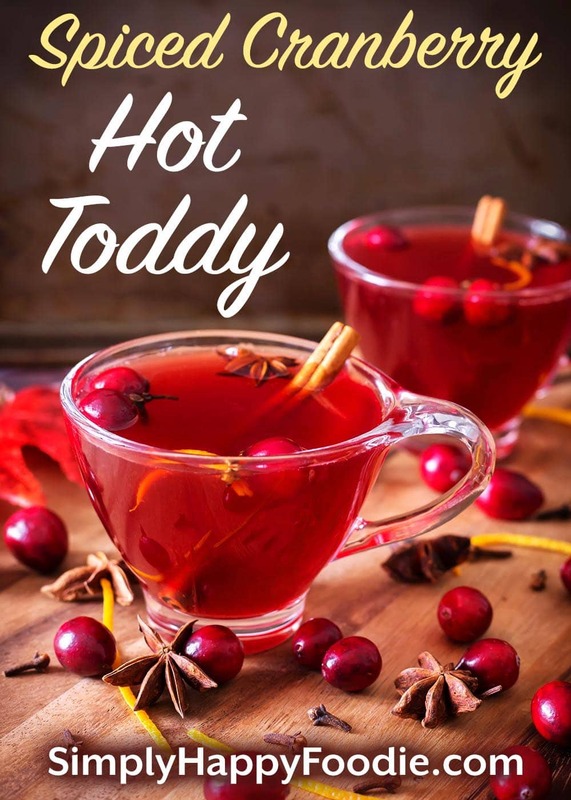 This Cranberry Toddy recipe is a branching off of the traditional Hot Toddy recipe. We really like this flavorful version of the Hot Toddy with cranberry juice. Every year during the Holidays I like to make batches of mulled cider, mulled wine, and tasty hot cocktails. Gotta chase away the chill during winter! Our guests enjoy a nice adult hot beverage while visiting, and a favorite is this Spiced Cranberry Hot Toddy. A Hot Toddy is a drink made with a liquor, such as whiskey or bourbon, hot water, and honey (or, in some recipes, sugar). Oftentimes lemon, some warm spices, and/or herbs are added. You may have heard that some people drink Hot Toddies when not feeling well. 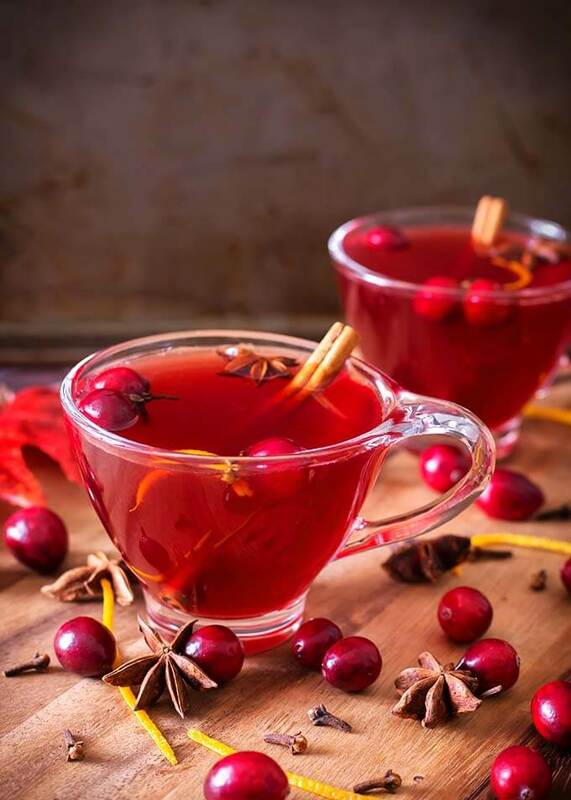 This Spiced Cranberry Hot Toddy is a sweeter and spicier version of the classic Hot Toddy recipe. I like to use unsweetened cranberry juice, however, I have used the cranberry juice cocktails and blends such as cranberry-apple and cranberry-cherry. The cranberry juice blends and cocktails are very delicious. Just use less of the honey when making your Hot Toddy as these blends are usually sweetened. My Spiced Cranberry Hot Toddy recipe makes two 6 oz to 8 oz cocktails, depending on how much liquor you use. This recipe is very forgiving, so if you don’t have everything to make it you can substitute something else. For example you can add 1 whole allspice if you don’t have the star anise, or cloves, etc. Add cranberry juice, orange, cinnamon sticks, ginger, peppercorns, cloves, and star anise in a small sauce pan and bring to a simmer over medium high heat. Turn to low, partially cover with a lid, and let simmer for 10 minutes. Then remove from heat and put the lid all the way on for a few more minutes. Remove the lid and strain the mixture and return it to the pan. Stir in the honey to taste. 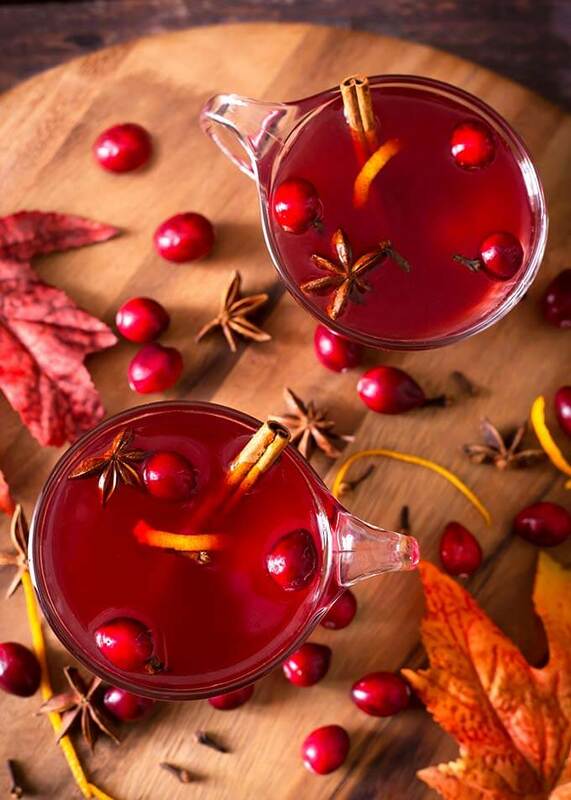 Pour 1 1/2 oz to 2 oz of bourbon into each 8 oz glass and then pour in the hot, spiced cranberry juice. Stir and enjoy hot! Oh yum! I need to make this for the weekend! The recipe looks easy to follow and I have everything to make them!! They are so delicious! I hope you let me know how you liked them.